MTN Group is exploring a sale of shares in African online retailer Jumia and values the company at as much as $1 billion, according to people familiar with the matter. Africa’s largest wireless carrier is considering an initial public offering of the Amazon.com-style business on the Nasdaq or New York Stock Exchange, said the people, who asked not to be named as the information isn’t public. 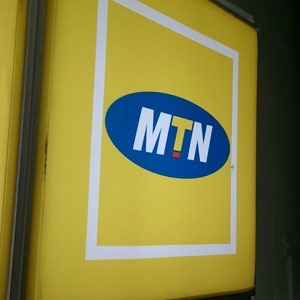 Johannesburg-based MTN is the biggest shareholder in Jumia, with a 40% stake, and smaller investors such as German startup backer Rocket Internet SE are also open to selling stock, they said. Another option under consideration is a private sale of shares to new investors, according to the people. Jumia currently has an estimated enterprise value of about $1 billion, they said, and has grown sales by between 70% and 90% annually since its inception in 2012. MTN "currently has no plans to dispose of its investment in Jumia in the short term", a spokeswoman said in emailed comments on Thursday. The shares gained 2.1% to R101.50 in Johannesburg, having closed below R100 for the first time since 2010 the previous day. Jumia and Rocket declined to comment.